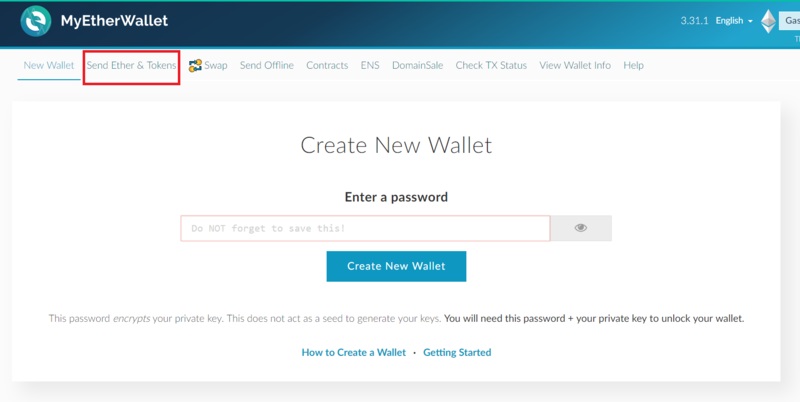 In a previous guide, we showed you how to set up an Ethereum wallet through the MyEtherWallet (MEW) service. In this guide, we will be a sending an ETH transaction. Go to MyEtherWallet.com and click “Send Ether & Tokens”. Now, MEW will display all the different options that you can use to access your wallet. As explained in the previous guide, we will be using the private key method, which isn’t the safest option available. We are using small amounts and experimenting with Ethereum, so it won’t be the end of the world in case anything goes wrong. If you are dealing with amounts that are substantial to you, consider using a safer method such as a hardware wallet. Select the “private key” option and paste in your private key into the field on the right side of your screen. Welcome to your wallet. You can see your address and ETH balance on the right side of your screen. The left side of the screen displays three fields: “To Address”, where we will paste the address where we will be sending our ETH, “Amount to Send”, which is the amount of ETH we will be sending, and “Gas Limit”, which is the maximum amount of gas units we are willing to spend in order to complete the transaction. ETH transaction fees are calculated by multiplying the gas limit with the gas price. The gas price can be adjusted at the top right corner of your wallet interface. To check the recommended gas price to use for our transactions so they are completed in a timely manner, head over to the ETH Gas Station. 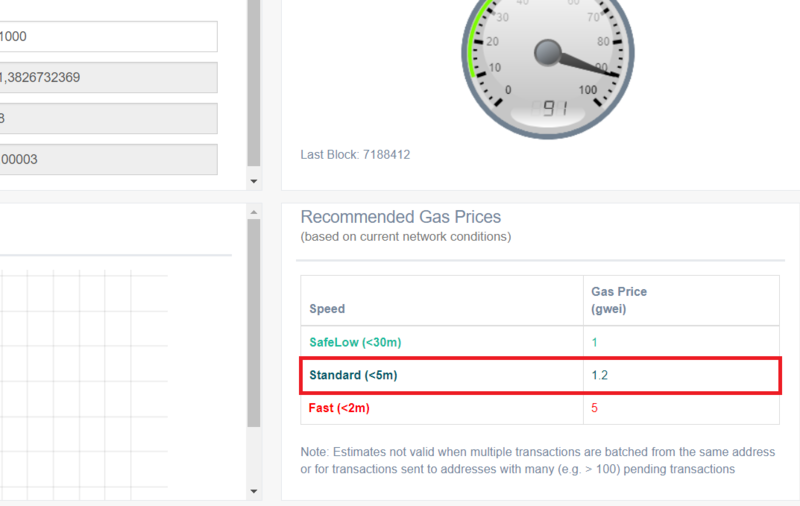 At the time of writing, ETH Gas Station recommends a gas price of 1.2 Gwei for standard transactions. 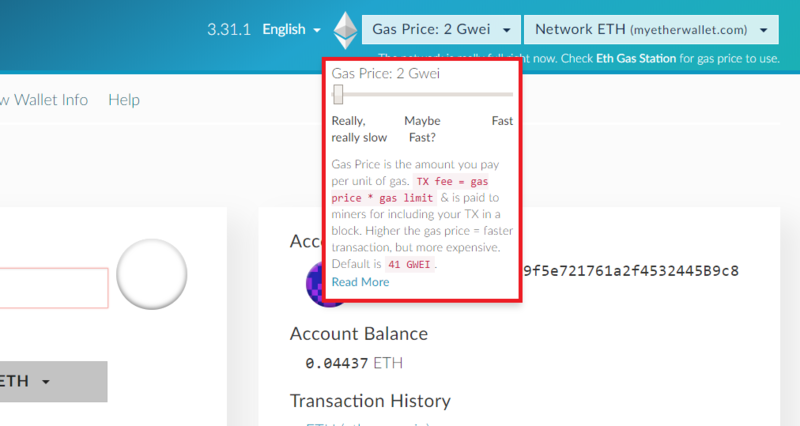 Since MEW only lets us set the gas price in increments of 1 Gwei, we will be setting the gas price to 2 Gwei using the slider. Don’t worry if the MEW interface says the transaction will be slow – it will go through just fine in a reasonable amount of time with the gas price recommended by ETH Gas Station. 1 Gwei is one billionth of an ETH. In order to send our transaction, we will be paying 2 Gwei (gas price) multiplied by 21,000 (gas limit). For standard transactions, it’s best to leave the gas limit at 21,000 (the default option). Now, we’re ready to send our transaction. For this example, we will be sending an ETH tip to MyEtherWallet’s donation address. If you are interested in donating to MEW for providing an awesome service to the community, their donation address can be found on the bottom of the MEW website. First, we paste the address into the first field, and then choose how much we want to send. TIP: Always double-check that you are sending funds to the right address. Ethereum transactions are irreversible. We double-checked, and now we’re ready to send the ETH. Click “Generate Transaction” and then click the “Send Transaction” button. MEW will now give us all the details of the transaction and we can finalize it. Now, our transaction has been broadcast to the Ethereum network. The time required for it to complete depends on network conditions. This particular transaction was completed very quickly, in less than one minute. We can even see it on the Etherscan Ethereum explorer!